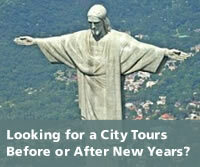 Looking For a More Relaxed Destination in Brazil to Enjoy Your New Year's Eve? Here are some Popular destinations for those wanting to have a different Brazilian New Year's experience. Rio de Janeiro is a thriving city where parties are extremely fun and the culture is amazing. With millions of people coming in from several countries to celebrate the New Year's in the Marvelous City as it’s known, there are a lot of other places to consider with almost as famous celebrations, This list will provide the most beautiful and equally exciting places to get your 2016 New Year's Eve in Brazil going on! Don’t worry about the weather. It’s summer in Brazil and the cities listed below are located on the beach shores of Brazil’s 5,000 miles coastline. Buzios is a resort town still in the Rio de Janeiro state area. This location is a majestic place where the nightlife is bustling and the people are always having fun. Buzios is a great place to have an exciting day at the beach while waiting for the New Year's in Rio because you can enjoy amazing water sports to answer your cravings for adventure and challenges. The waters can provide good surfing as well as other forms of water sports. You can also just lay down, tanning and resting! You will surely be pumped before the event itself. Go ahead and buy your clothing and Brazilian fashions in one of the most popular shopping area, called Rua das Pedras, the main street that looks like a mall and it is closed at night, then you can get ready for the night life and for the New Year's Eve festivities in Rio. When you come back to Rio just be sure to wear white and accent it with a bit of red to increase the chances of getting a romance! Recife is one of the biggest metro areas in Brazil that houses a multitude of attractions for locals and international visitors. It has a lot of infrastructure, such as hotels, restaurants, shopping malls as well as its beautiful beaches. It is considered the Brazilian Venice because of the 50 bridges connecting the small islands close to the city. It is a thriving port, and also a popular location because of the Carnival. Salvador is known in Brazil as the capital of happiness. It has a very outgoing population as well as fun and exciting outdoor activities such as street dances. With 50 km of beautiful beaches, this location is also a perfect spot to engage the most exciting New Year's Eve. There will be open air parties and concerts as well as an amazing cultural experience where entertainment, cuisine and music are unique what is definitely worth looking into, as the New Year comes. Fortaleza is the 5th biggest city in Brazil and it has amazing urban beaches and great hotels with international appeal. This is known for having the wildest Monday nights in the world. Parties are always the bomb in this location. In 1 hour from Fortaleza you'll find the famous Beach Park, for those that want to experience some great attractions in a entertainment water park. 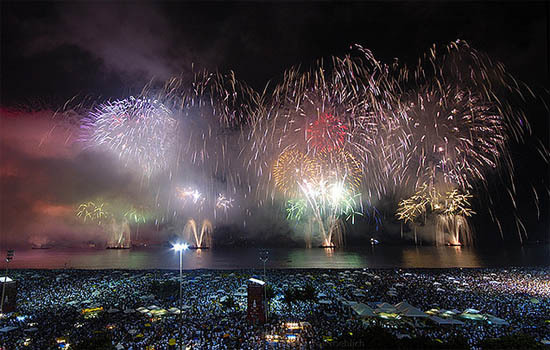 For the New Year's Eve, they also have fireworks on the beach; always a great option to go since it also offers the unique Brazilian style New Year's celebration experience. These locations are just some of the best alternatives if you have already experienced the New Year's in Copacabana or in Ipanema. You will definitely love the amazing energy, vibrancy and mix of cultures of these different Brazilian locations, and you will surely want go back again the following year for a new experience.